GoLeanSixSigma offers a dynamic way to complete Lean Six Sigma certification and gain the belt that best meets your organizational and personal needs. Depending on the certification you need, you can earn a White Belt, Yellow Belt, Green Belt, and Black Belt. Best of all, these belts can be attained for a relatively low cost and low time investment! GoLeanSixSigma has worked with some of the largest brands in the world, offering fast and comprehensive training for workforce teams. They’ve worked with giants like Amazon, Disney, Whole Foods, Tesla, and even the United States Air Force. Another perk of obtaining your Lean Six Sigma certification through this provider is that they offer the White Belt and Yellow Belt trainings for free! This allows you to test out working within the online platform to see if it’s right for you before going on to achieve higher certifications. Find out more about what sets GoLeanSixSigma apart from other Six Sigma training programs below! 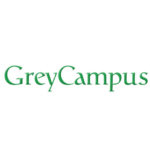 What’s Included With GoLeanSixSigma Courses? GoLeanSixSigma is a Hawaii-based company founded in 2012. Unlike many process improvement training programs, this web-based company proudly employs a unique mission, vision, and core values that set them apart. Their mission is to “revolutionize the way people learn process improvement – making it easy for everyone everywhere to build their problem-solving muscles.” They accomplish this with strong company core values such as cultivating community, a servant’s heart, and a trailblazing spirit. One of the first things I noticed about this company is the wealth of information they provide on their website for free. Podcasts, blogs, webinars and other resources are available to the curious, even if you’ve never taken a course from them before. In this way, Go Lean Six Sigma has established itself as a leader of process improvement education. One of the key features that sets GoLeanSixSigma’s training programs apart is the learning methodology. Rather than focusing on a question-and-answer format, GoLeanSixSigma offers a unique simulation experience by leading the course through the example of the hypothetical Bahama Bistro. While you move through the different phases of process improvement management, you’ll be playing games with the staff at Bahama Bistro: troubleshooting and following their journey through a successful Lean Six Sigma project. Consequently, this interactive and fun approach helps to increase retention of the core concepts of Six Sigma and Lean Six Sigma methodology. In addition, the blog regularly publishes “bitstrips” of Bahama Bistro: short and humorous comics that additionally reinforce DMAIC knowledge. Unlike other prep courses that lock down their materials after the access period is expired, GoLeanSixSigma encourages you to download and make continued use of their helpful templates, indexes and glossaries. In fact, the company regularly produces additional content freely available on the blog. Whether you learn better through webinars and podcasts or prefer to make use of templates and worksheets, this company has an appropriate training aid readily available for you! For example, here’s a link to the Green Belt Tollgate Checklist. This is just one of the many different project checklists and worksheets available on their blog! If you’ve researched any other Lean Six Sigma prep courses in your quest to find the perfect match, this feature may come as a welcome surprise. Whereas most courses are only available for 6 months at most, GoLeanSixSigma offers each of their courses for a full year. Hence, this gives you ample opportunity to take the course, and even retake it for good measure, before pursuing certification. It makes sense that training courses concerning process improvement management should be concise and save time. However, I’ve found this to rarely be the case with Lean Six Sigma prep courses. However, GoLeanSixSigma accomplishes this in a fun way. With the aid of their Bahama Bistro simulation, you’re able to move succinctly through the course. Because there is no cost associated with White or Yellow Belt Training, the Certification is offered separately for cost. In the case of the White Belt Certification, this is $99. The Yellow Belt Certification is $299. For all other training programs including Yellow, Green, and Black Belts, and the Lean course, the certification cost is included with the initial course fee. So how does the cost measure up to other providers? The Green Belt Prep Training & Certification and Exam is priced the same through GoLeanSixSigma as it is through MindEdge, another competing educational provider. However, a key difference here is course access. As we mentioned before, GoLeanSixSigma offers course access for one full year, while MindEdge offers it for only up to 240. However, that’s still much better than some programs that only offer access for 90 days! Pro – Easy-to-Use Learning Management System: Course organization has never been more simple than it is in the user-friendly Learning Management System. Not only can you keep track of your progress and easily search topics, you can also watch your teams progress through a team view option. Pro – Simulated Storyline: Moving through a successful Lean Six Sigma project with the crew at “Bahama Bistro” helps learners retain core concepts positively. Furthermore, interactive games and challenges make learning fun and boost retention! Pro – 100% Pass Rate: You’re guaranteed to pass the certification of this course. Not only is the material top-notch, it’s open book. Also, you can take the exam as many times as you like! Con – Refund Policy : Because this program has an open book policy, refunds are only processed up to 30 days and if a significant portion of the course is unused. However, you won’t need a refund policy that guarantees you can retake the course or get your money back if you fail the exam- it has a 100% course pass rate! Q: Can I earn CEUs and PDUs with these course materials? Q: Are there military discounts available? A: GoLeanSixSigma offers full tuition assistance to active-duty Navy members (in partnership with a number of universities.) That means no out of pocket costs! Furthermore there are sizable discounts for Non-Active Duty Military Members upon request. If you learn best by activities, games and interactive scenarios, this is the course for you. If you are a member of the Navy or Armed Forces, or you have been in the past, and are interested in a hefty discount, this is the course for you. If you have severe testing anxiety and might need a few retakes of the course exam, this is the course for you. If you need a course guarantee of passing the exam to make a purchase, this isn’t the course for you. GoLeanSixSigma offers simple-to-use and engaging course content that can be completed in a matter of days. Another major perk is that they offer course training for the White Belt and Yellow Belt free! This creates a great opportunity to dip your toes and test the waters before committing to Green Belt or Black Belt certification at a higher cost. 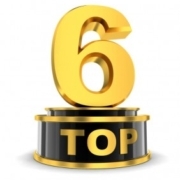 Furthermore, GoLeanSixSigma takes pride in offering resources to Lean Six Sigma through useful webinars, podcasts, videos, and blogs that aim to educate users and provide materials to answer tough questions. While plenty of this useful content is available in the learning modules, it is also readily available to the public directly from the website. Additionally, a ton of other handy information and features are available in each learning system! Coaching is optional for all five of its course offerings. Statistical software is also optional for all courses. What it boils down to is: this course is perfect for those learners who can’t stand traditional textbook question-and-answer learning methods. GoLeanSixSigma instead leads learners through a process improvement project scenario with a fictitious restaurant full of relatable characters. The crew at Bahama Bistro illustrate DMAIC methodology as you move deeper through the course, helping you retain the core learning objectives of each belt certification while you have fun doing it. 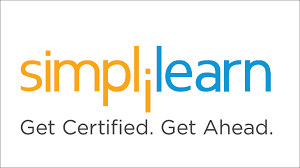 All in all, this Lean Six Sigma prep course is perfect for the nontraditional learner. If that’s you, you’ll love working through these courses! So what are you waiting for: give them a shot today!